The eighth edition of Castellon-Cadena Ser Awards has awarded Cuatroochenta in the category of Science 2011. Cuatroochenta is a company devoted primarily to mobile applications development (Smartphones and tablets). 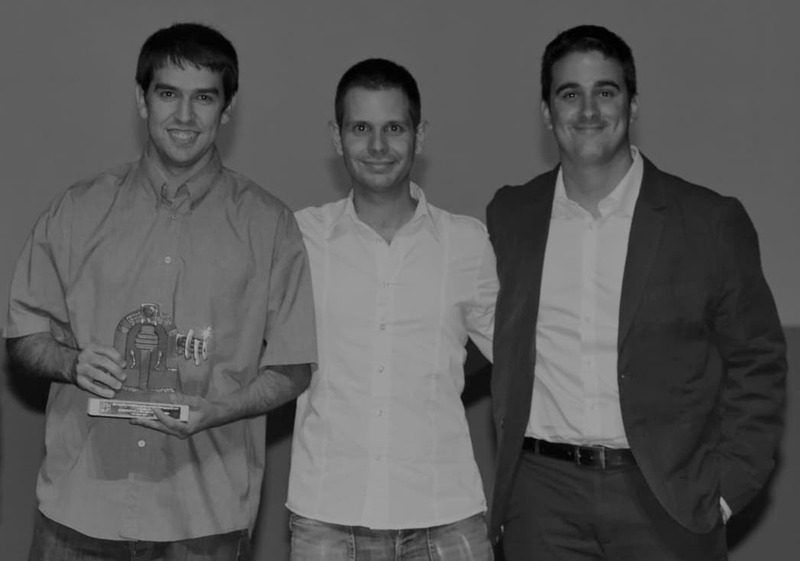 Sergio Aguado, Carlos Sanchez and Alfredo R. Cebrian (left to right in the photo), the three drivers of the young company, collected the award last Friday October, 7 at a gala held in the paranymph of the University of Castellon, which was attended by 700 people. Cuatroochenta co-starred with other winners, such as the Valltorta-Gasulla Cultural Park, the linguist professor Germa Colon, the architect Jaime Sanahuja or the popular actor Willy Montesinos. The awards aim to recognize institutions, businesses and citizens which contribute to the progress and projection of Castellon in different areas and social and economic sectors. The gala, which was enlivened by the magician Yunke and the comedian Javier Coronas, was attended by representatives of major public and economic institutions. The young company specializes in the development of applications for Smartphones and tablets, but also offers ad-hoc advanced programming services to improve work processes. Cuatroochenta brings together professionals from programming and software development, graphic design, marketing and communication. It fully involves in each project from a philosophy of real collaboration with the client. So far, the company has developed applications the tourism sector (Castellon Tourism, Magdalena Festivities), health (Euespa), science (Espaitec) or cultural (nomepierdoniuna.net).